The meek and humble sister believed the apparition was not of divine origin because it sounded like, too much adulation plus this simple, self-effacing, lowly sister believed that others were much more worthy. 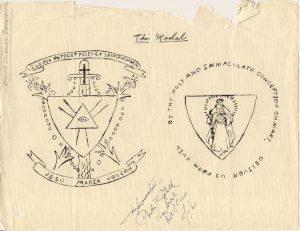 This is an official drawing/sketch for the medal by St. Ephrem and signed by the bishop. 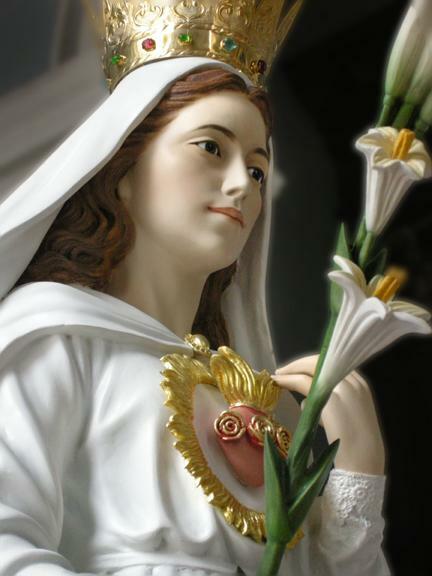 The core message https://www.ourladyofamerica.org/wordpress/wp-content/uploads/OLOA_Messages_Booklett-V1.54.pdf of Our Lady of America is worship of Indwelling Holy Trinity (baptismal grace)… devotion to St. Joseph as the spiritual father and protector of all families on earth… an Immaculate Conception medal for purity cast to guard against evil with the promise that “St. Michael himself will be at their side to allay (dispel) their fears at the final hour,”… the U.S. Bishops will process & enthrone Her statue at the Basilica of the National Shrine of the Immaculate Conception in Washington, D.C. to protect our country… to deeply renew the youth of America in purity with miracles of grace so that in all the above mentioned messages, our country can be a leader, model, and torch bearer for the rest of the world. ← Angels & Dragons XVIII: St. Michael the Angel of Peace! ← The Crowning of St. Joseph!